After joining two ultra marathons in two consecutive weeks, the Runnroo is now back to pound the north roads of Cebu province. On November 27, 2011, Runnroo will stage its fifteenth leg of Tour de Cebu. The route covers the mountain areas of Tabogon and Sogod. The 27-kilometer run will start at 5 a.m., from the 87KM post in Barangay Babag, Bogo (boundary between Bogo and Tabogon) to the 60KM post in Poblacion, Sogod. 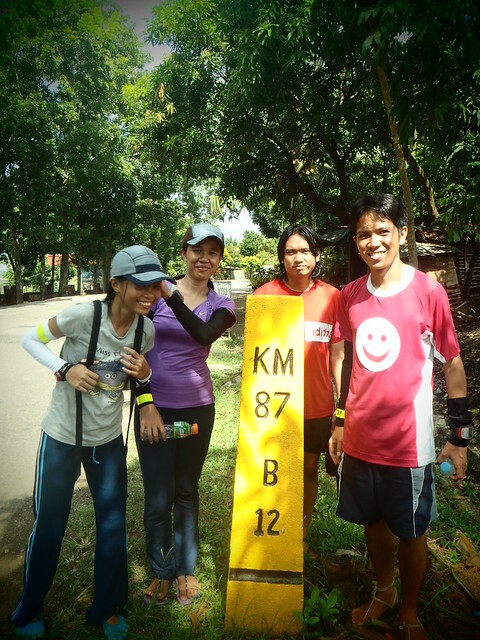 ….. KM 60 Post, in Sogod, Cebu …. Run with us and let’s enjoy the mountain views of Tabogon and Sogod.